Our Stacey wins a wedding thanks to fabulous fundraising! A big well done and huge congratulations to our Stacey on winning her wedding after weeks of hard work and fundraising. We are absolutely delighted to hear that our Business Centre Manager, Stacey Normandale, has landed a prize of a dream wedding after proving herself to be a first class fundraiser! Stacey has worked at our Team Valley Business Centre in Gateshead since it opened in 2013 and, along with fiancé Graeme, she entered a contest with Metro Radio to win a luxury £23,000 wedding. Six couples competed to raise the most money for the station’s Cash For Kids charity in just two weeks, with Stacey and Graeme being announced as the winners this morning after collecting more than £13,000 in donations. “It just hasn’t sunk in yet that we’ve won. I’m so happy but I keep wanting to cry every five minutes!” says Stacey. Breakfast show presenters Steve and Karen gathered all the couples in the studio to announce the winners. Stacey explains: “I can’t even tell you how I felt at the time. It was such a beautiful moment. 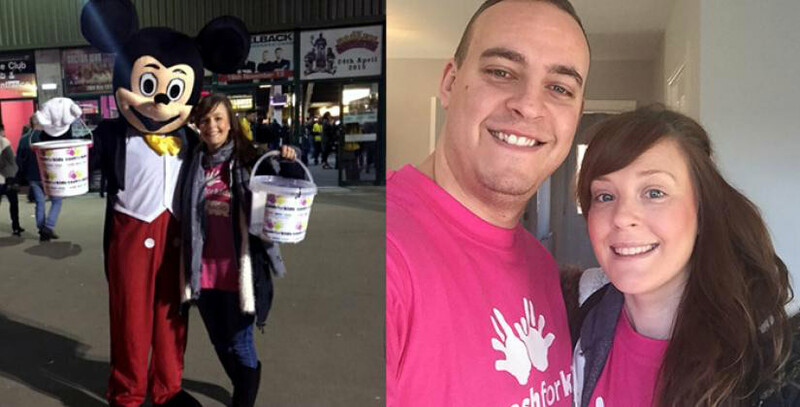 Stacey had taken a week’s annual leave to concentrate on raising as much money as possible. Some of the activities she and Graeme organised and took part in included a quiz and bingo night, a pool and darts evening, 10 sponsored bag packs (including three on one day! ), collections at the Metro Arena and in nightclubs in Newcastle, a dress down day at a local school, and a live music event and auction. Stacey and Graeme’s prize will include a dream honeymoon from Thomas Cook and a luxurious reception at the Macdonald Linden Hall Hotel in Northumberland. Coincidentally, the couple had already looked at the hotel as a potential venue after they got engaged on Christmas Eve 2013, but they had been forced to put wedding plans on hold after they put a deposit down for their first home together. “My dad delayed his retirement from working on the rigs so he could earn some extra money to put towards a lovely wedding dress for me,” continues Stacey. Stacey and Graeme are delighted to have raised such a huge sum for Cash for Kids in such a short amount of time and would like to thank all their friends, family, customers, colleagues and members of the public who have helped and supported them. The couple are planning to tie the knot in September or February and we wish them all the best for their big day!